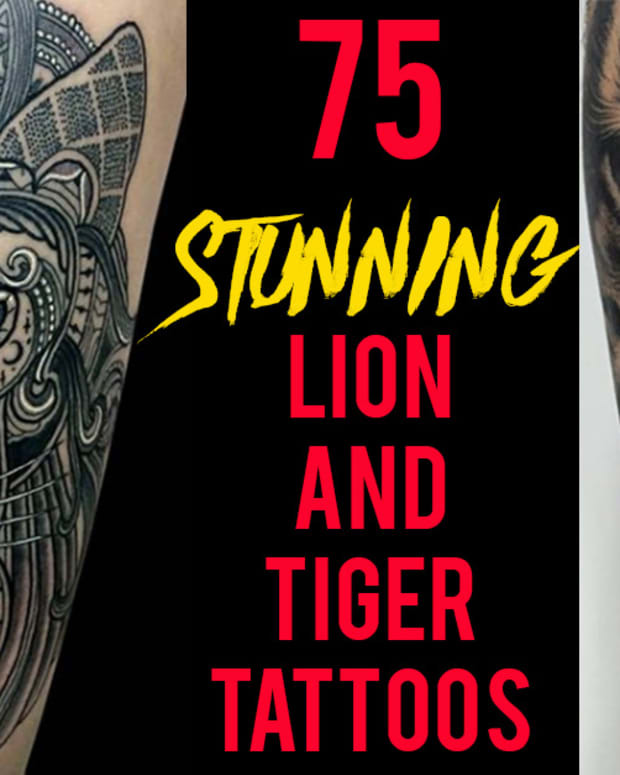 Check Out Her Gorgeous Tattoos! 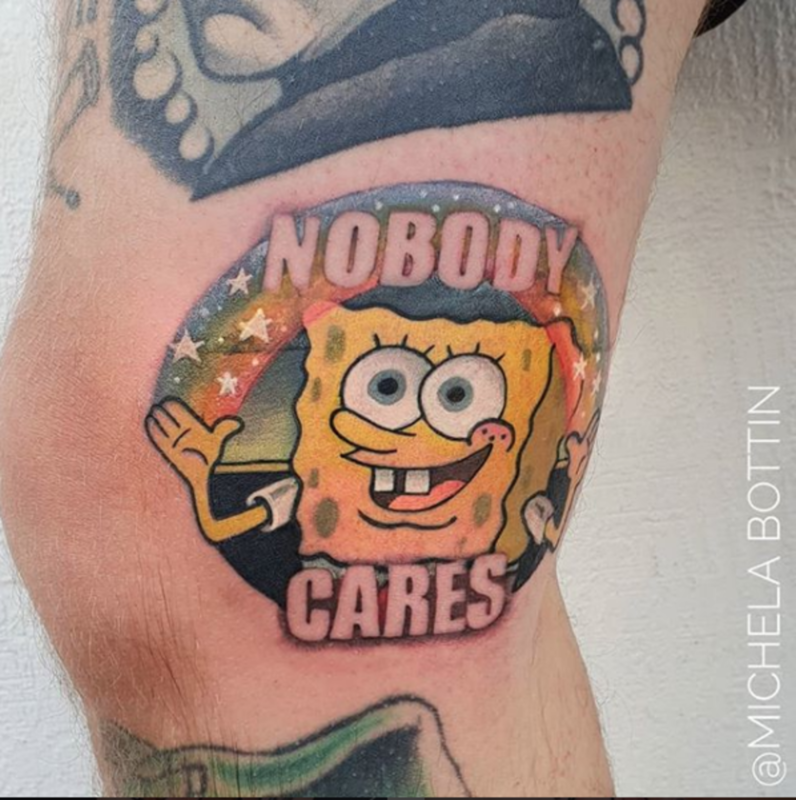 When it comes to portraying themselves on social media, some tattooers make a point to show their face while others prefer to remain anonymous. 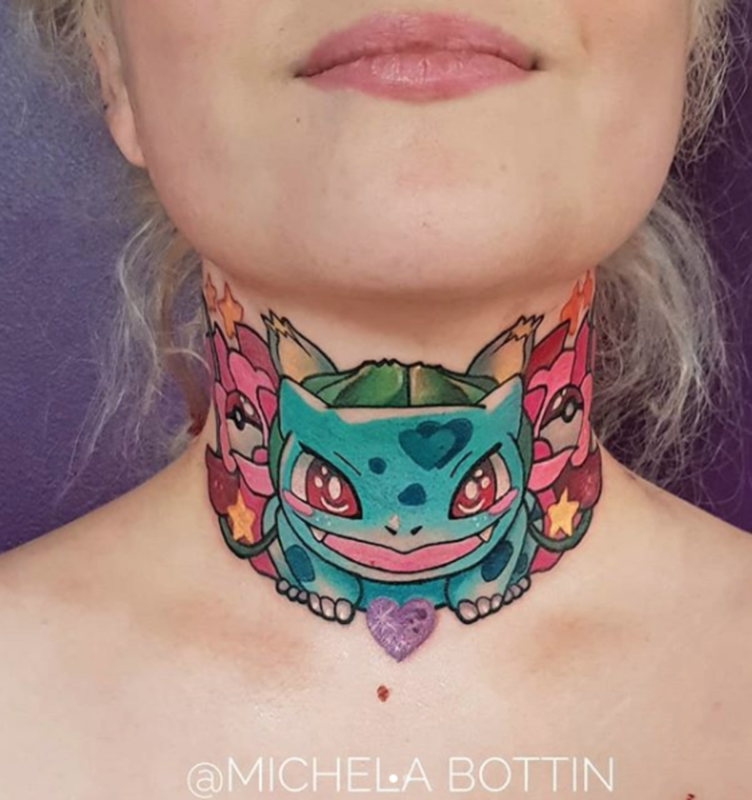 And as someone who has frequently many tattoo conventions in their days at INKED Magazine, it is always refreshing and exciting to put a face to your favorite artist. 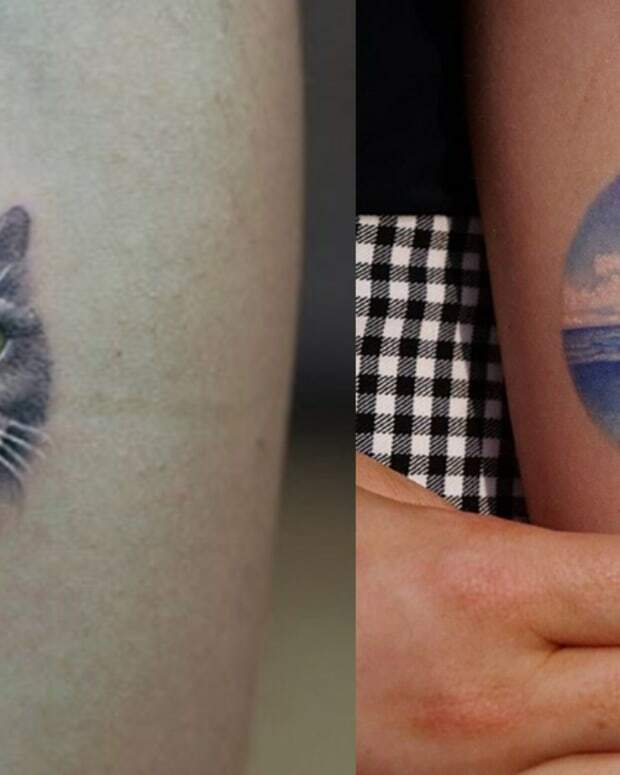 However, one of the biggest questions that has come to mind through this process is whether the tattoos someone does reflects their own collection of ink? 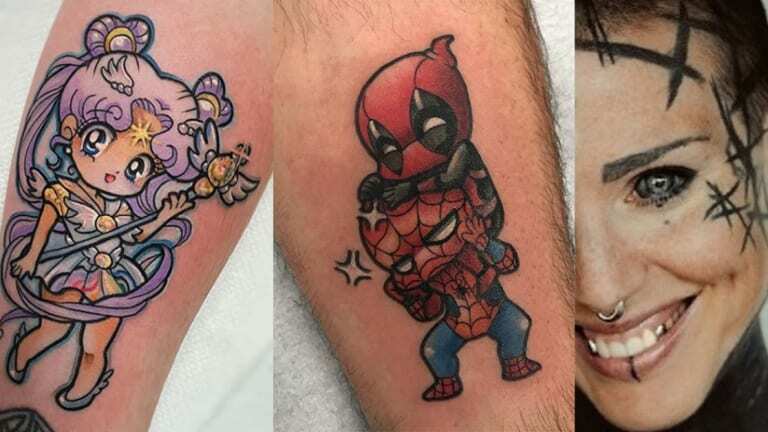 Many of you might believe that tattooers create tattoos that resemble the style that they enjoy collecting themselves, but for many artists out there—this simply isn&apos;t the case. 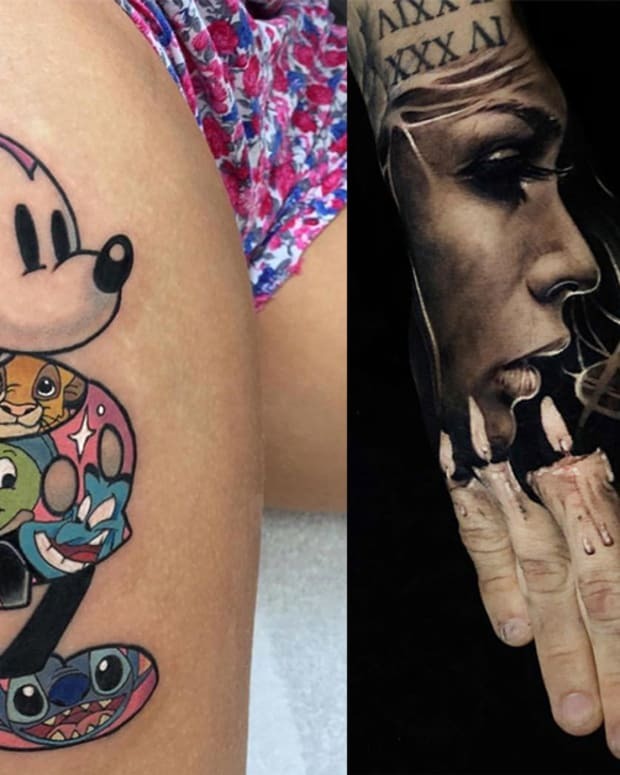 If you visit a convention, you might see that some of the top realism artists are covered in American Traditional flash. 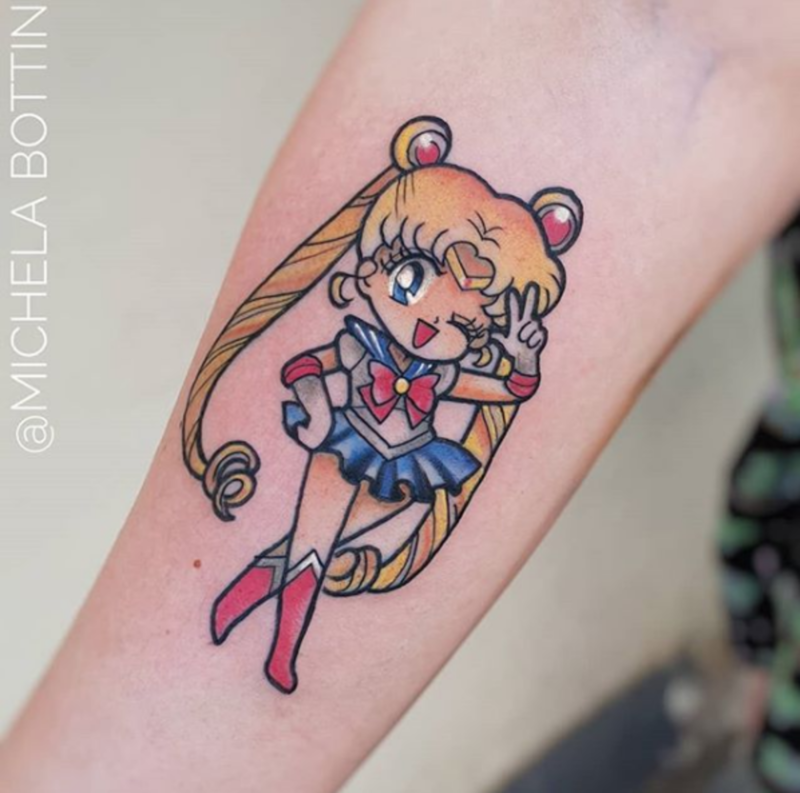 Or, if you visited an artist who specializes in delicate micro tattoos, you could find that they personally collect large scale neo-traditional pieces. 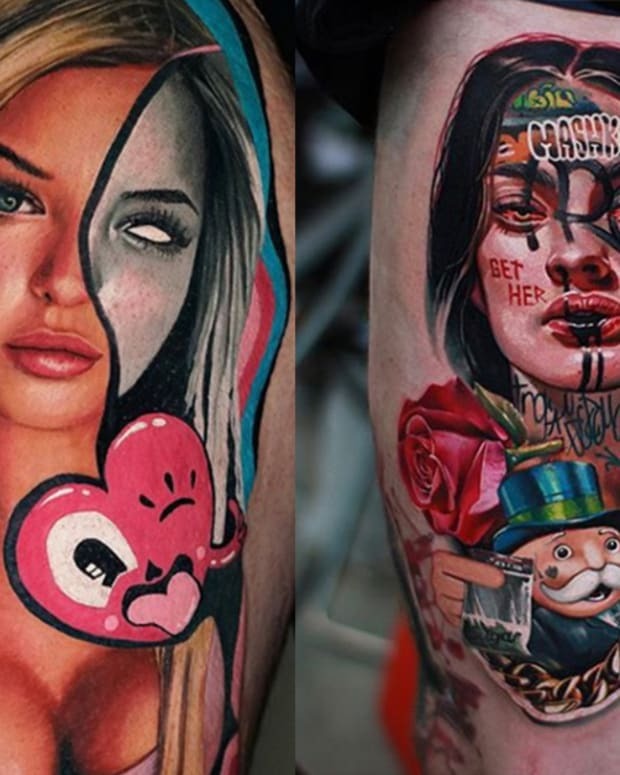 There are any endless amount of combinations to be seen in the industry and they all go to show that you can&apos;t judge a book by it&apos;s cover. 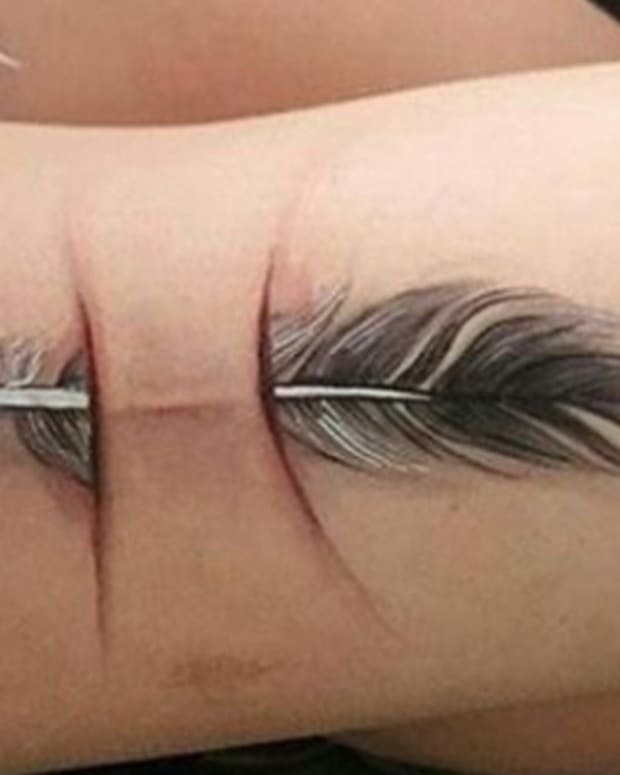 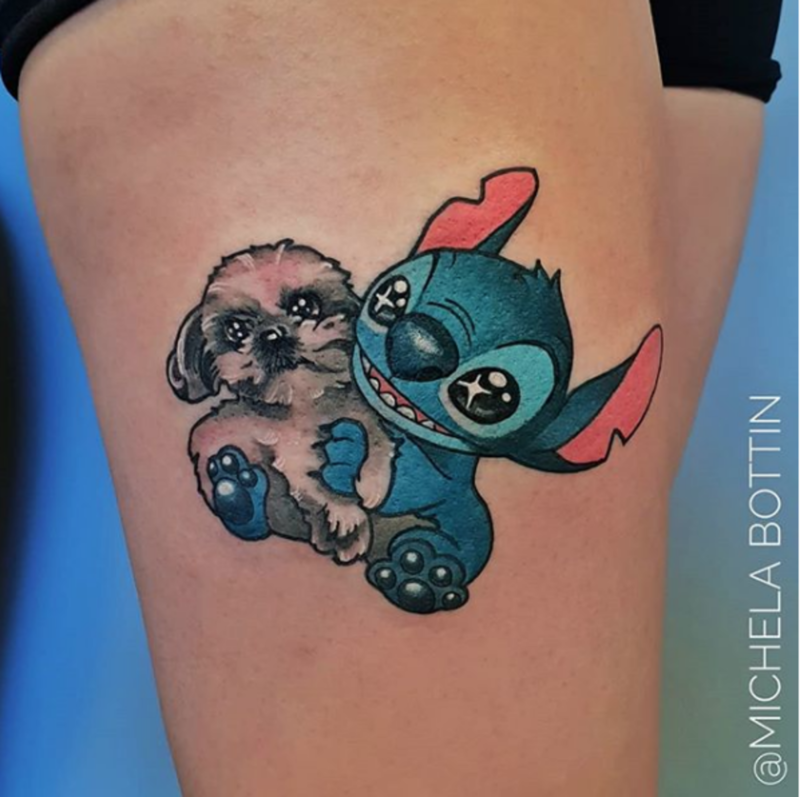 We&apos;ve found one of the most startling examples of this phenomenon through a tattoo artist by the name of Michela Bottin, who works in New York City but grew up in Italy. 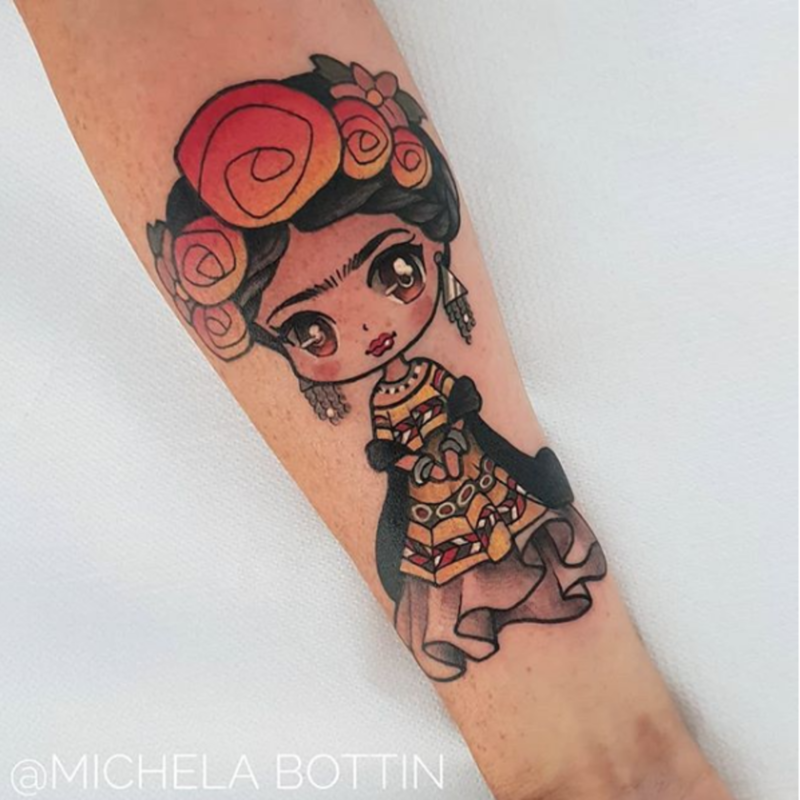 Take a look at the gallery below to learn more about Bottin and to take a peek at her impressive portfolio of tattoos. 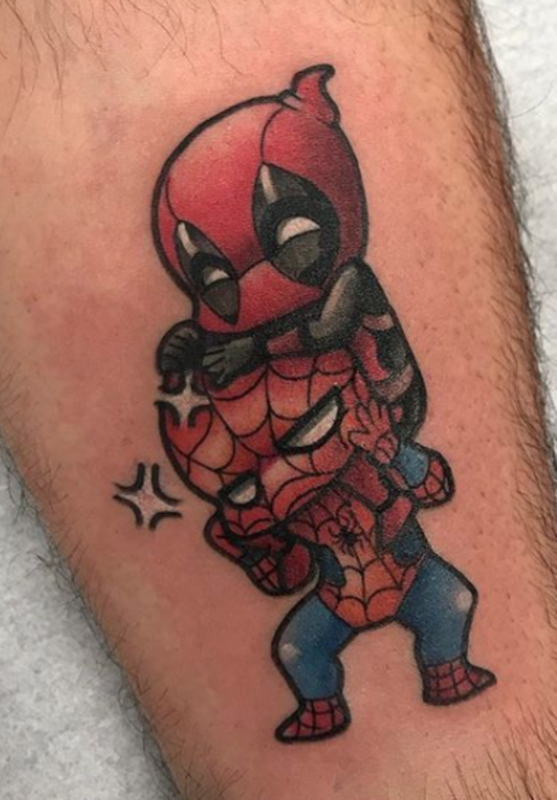 Then let us know your thoughts, opinions and questions on whether the tattoos on artists body should match their style of work in the comments section on Facebook. 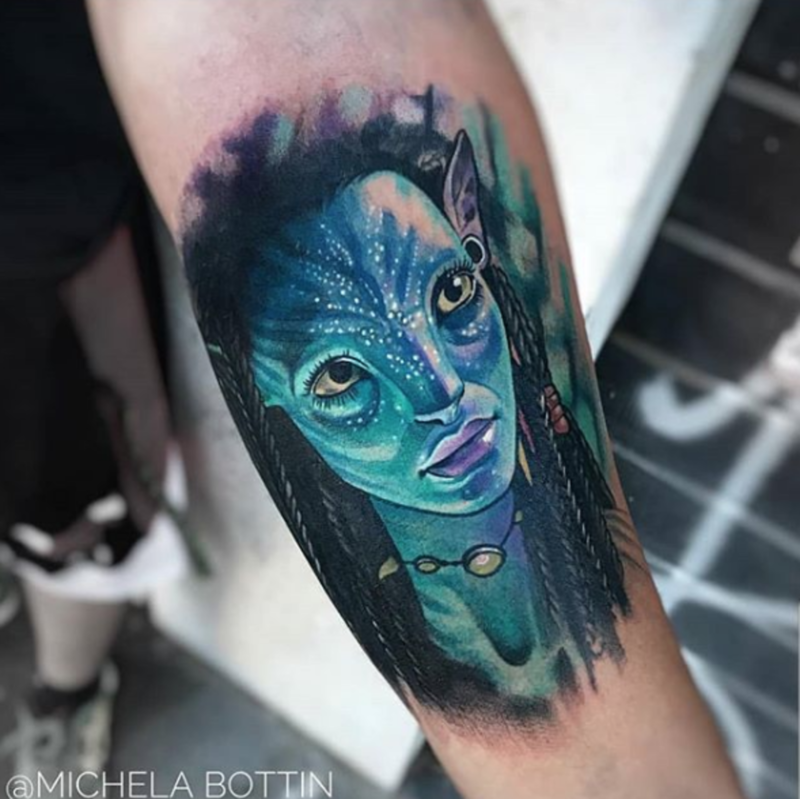 If you were to meet Michela Bottin on the street, you&apos;d be right to assume that she works as a tattoo artist. 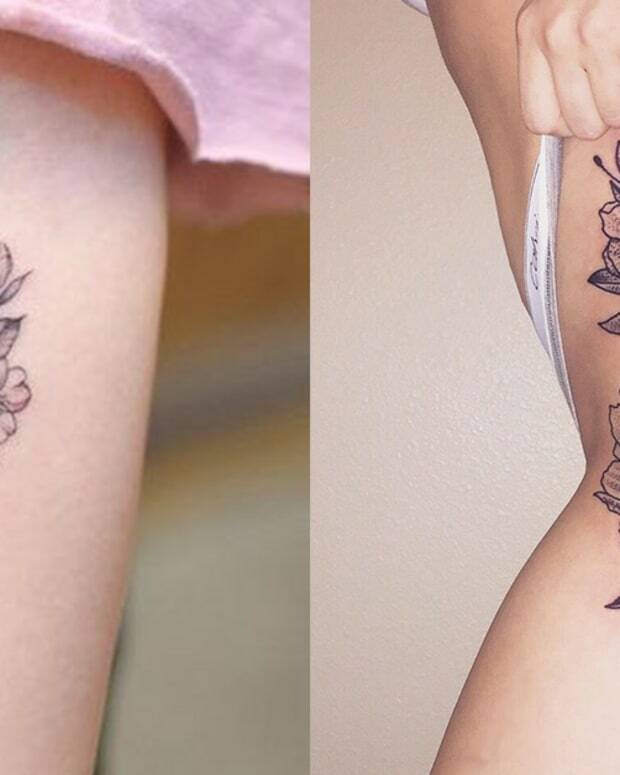 However, you might be very surprised to see the style of tattooing that she&apos;s created a brand around. 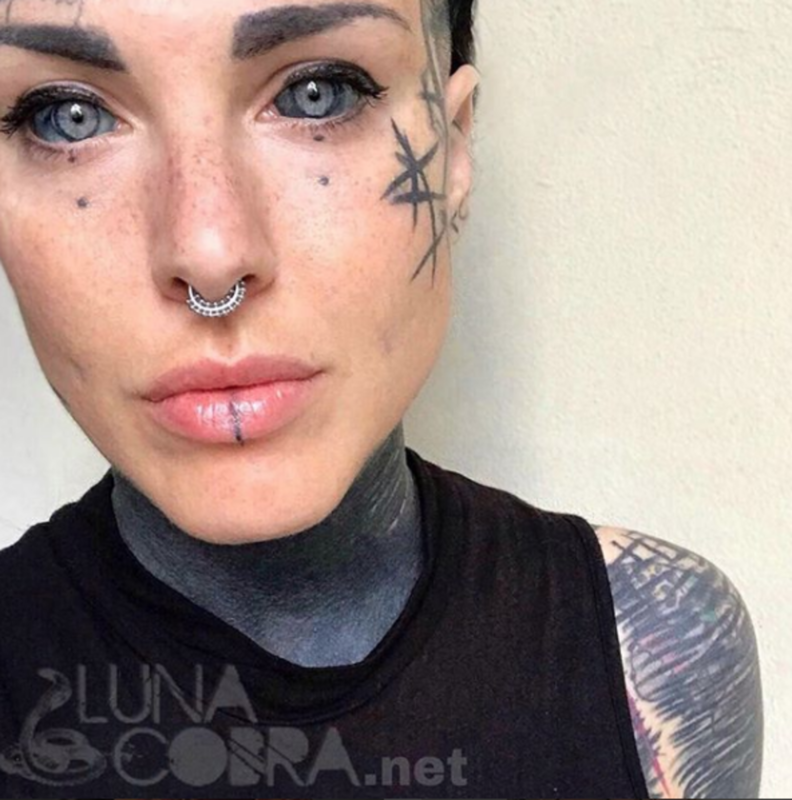 While Bottin herself collects graphic blackwork tattoos, has a number of pieces on her face, split her tongue, collected scarification and has invested in sclera ink—her tattoo style completely opposes her work as a collector. 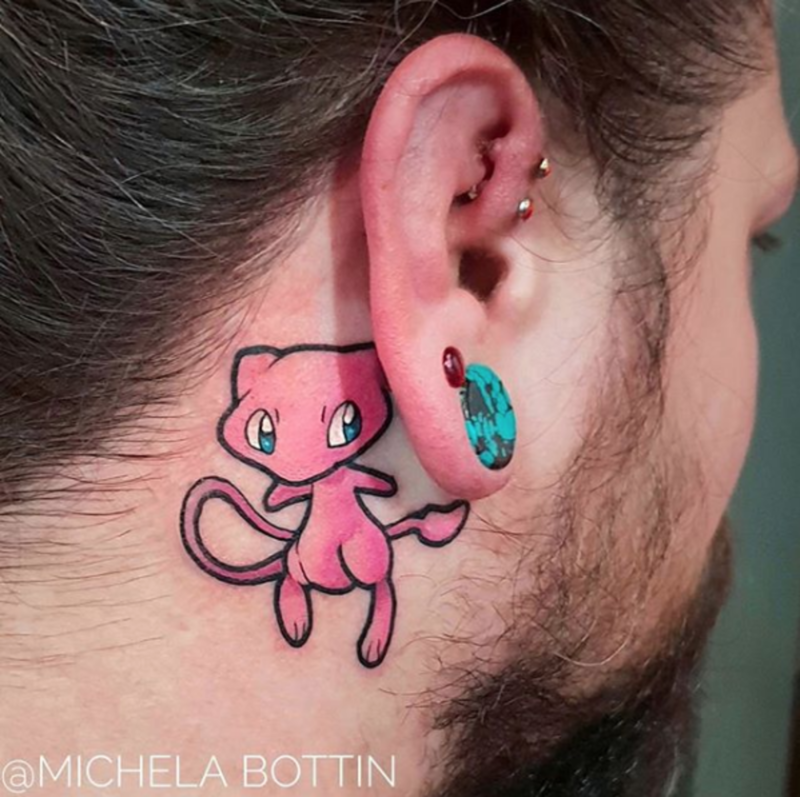 Originally hailing from Italy, Bottin is currently a resident artist at Manhattan&apos;s Soho Ink. 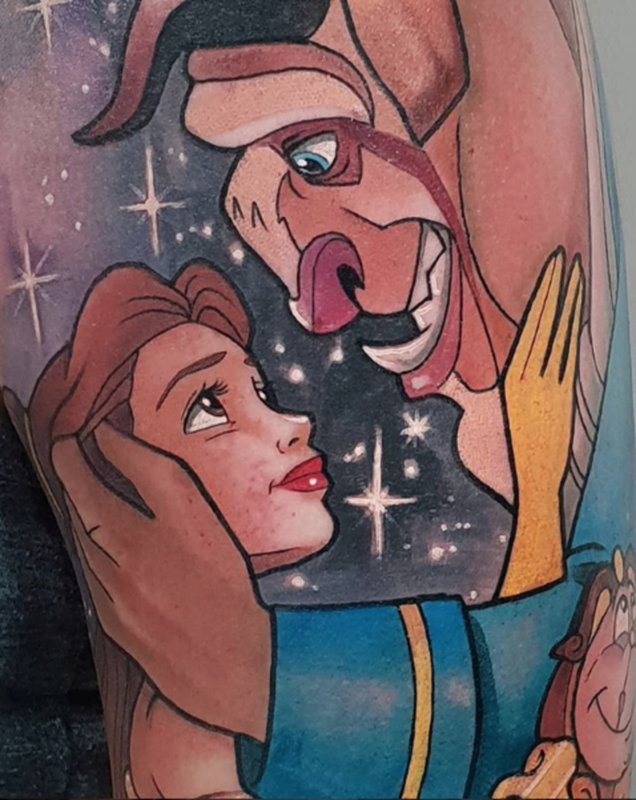 And while her appearance may be edgy, she&apos;s one of the most sought after Disney, anime and cartoon tattoo artists in the world. 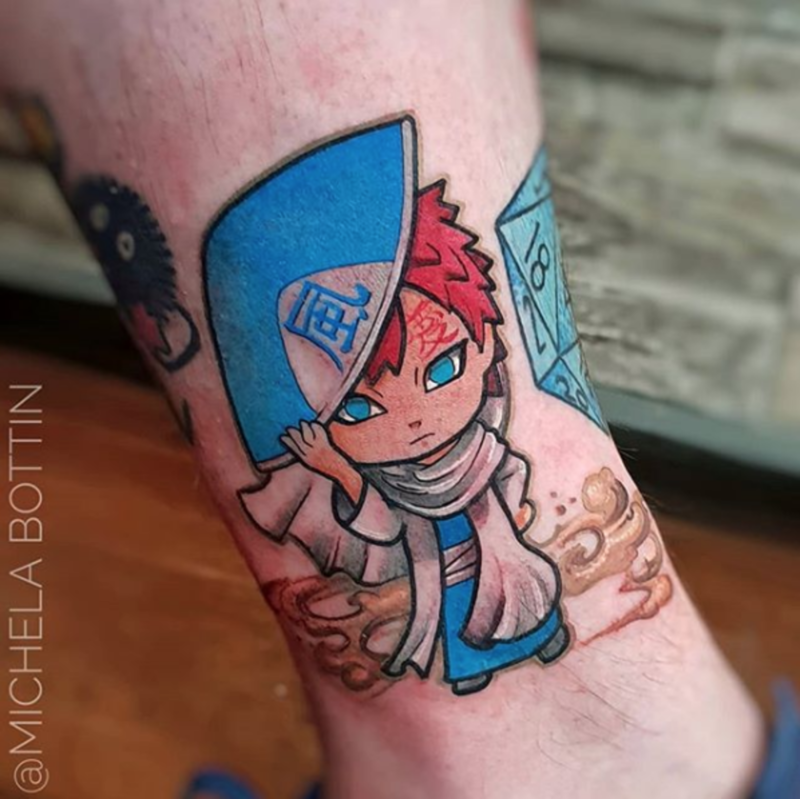 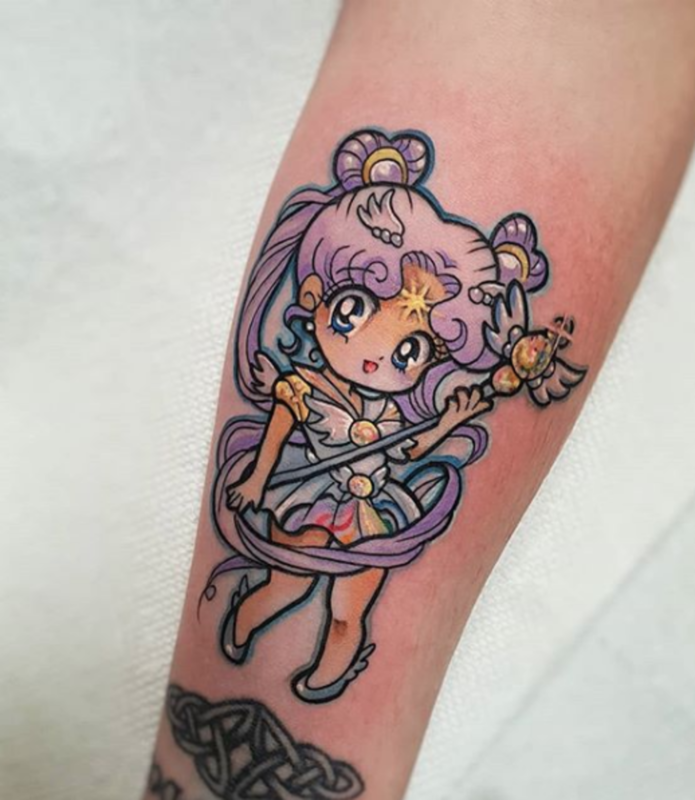 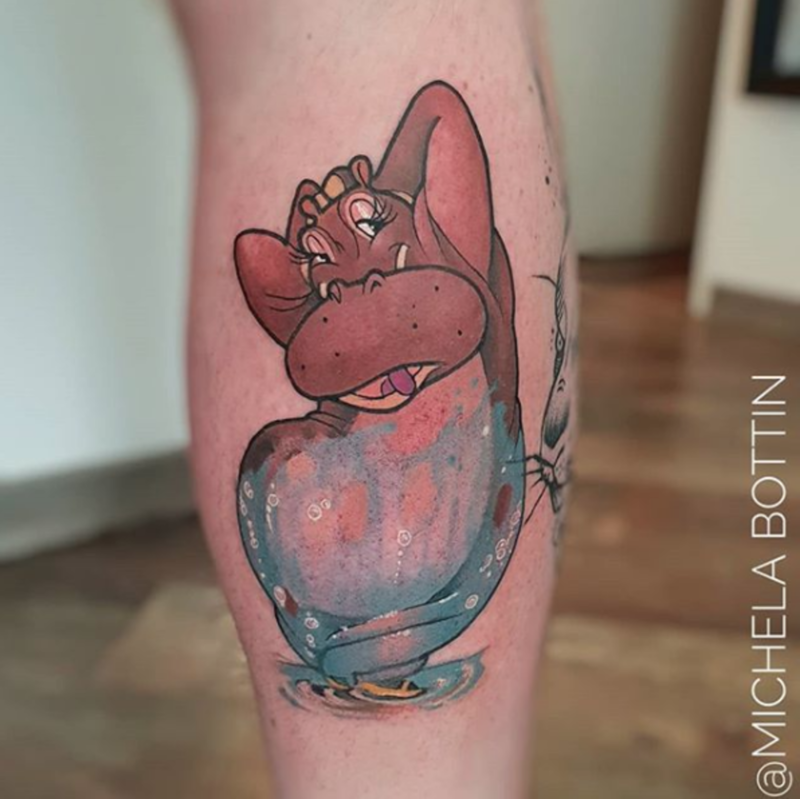 Bottin specializes in recreating some of our favorite cartoon characters and can nail tattooing everything from Disney princesses to Nickelodeon&apos;s finest fry cook. 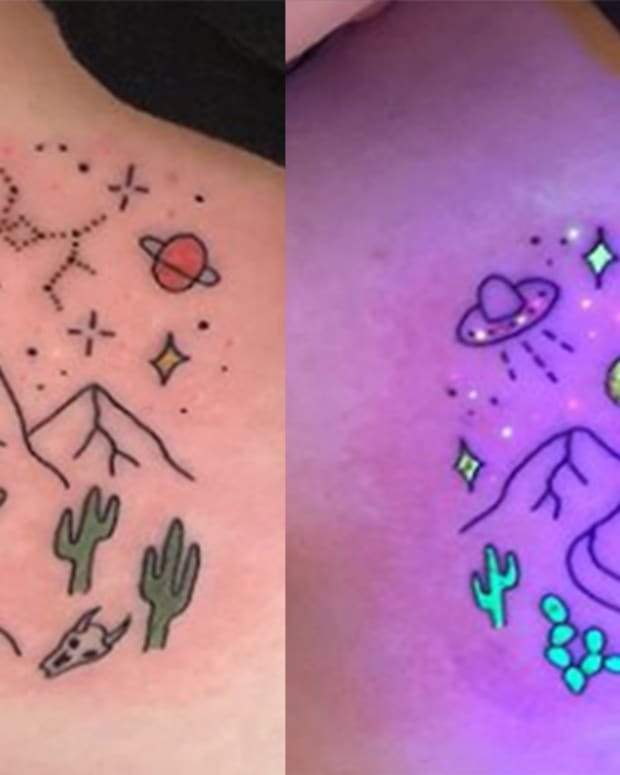 Her strengths lie in technicality—with a superb ability to saturate color and maintain consistent linework throughout each and every piece she completes. 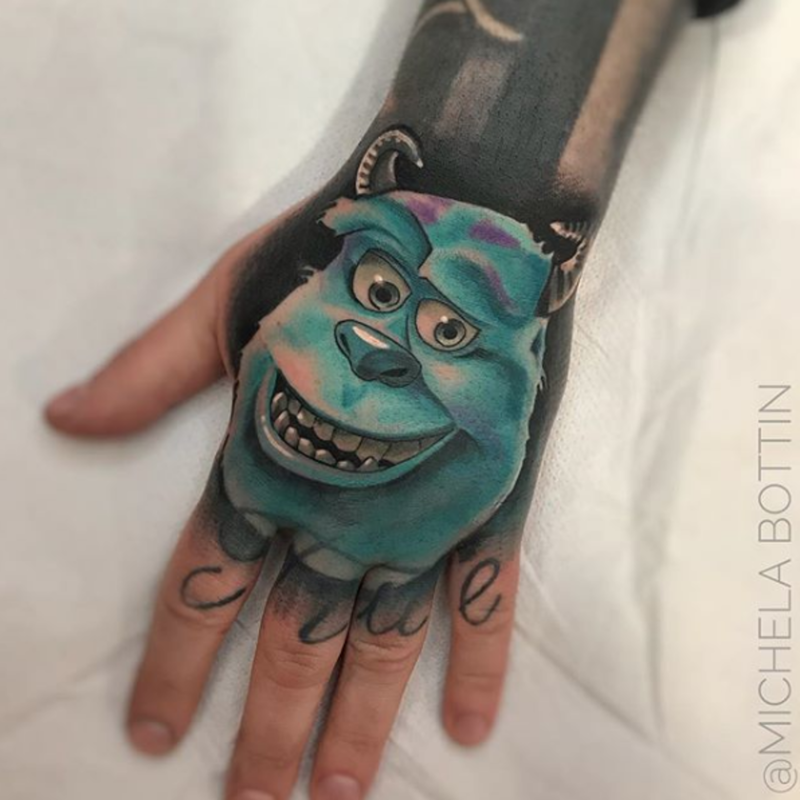 "I think I can express myself to the fullest and to feel myself realized when I try my hand at tattooing and new school, I like playing with colors, shapes and three-dimensional subjects. 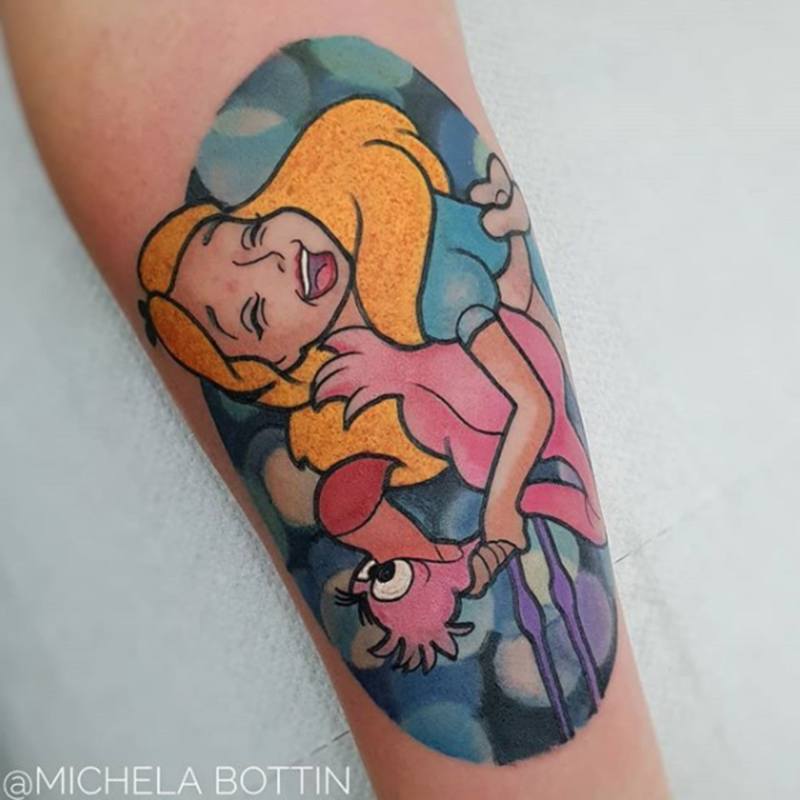 I love the fairy tales and cartoons that have remained in my heart since childhood until today. 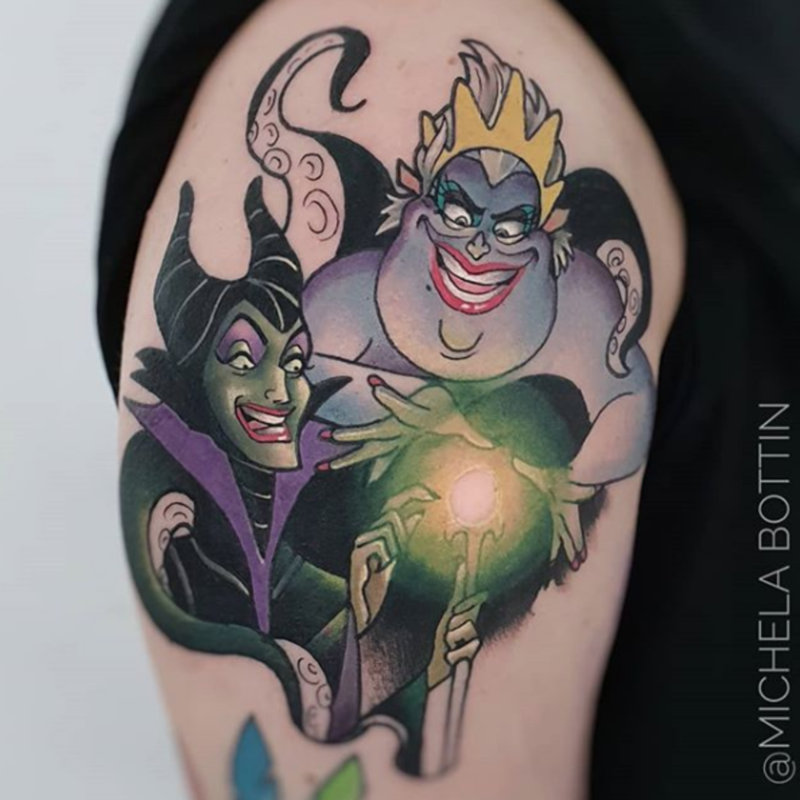 I would say that what emotionally and professionally involves me most is to take a relatively simple subject and make it complex by using bright colors or through plays of light and shadow," Bottin shares on her website. 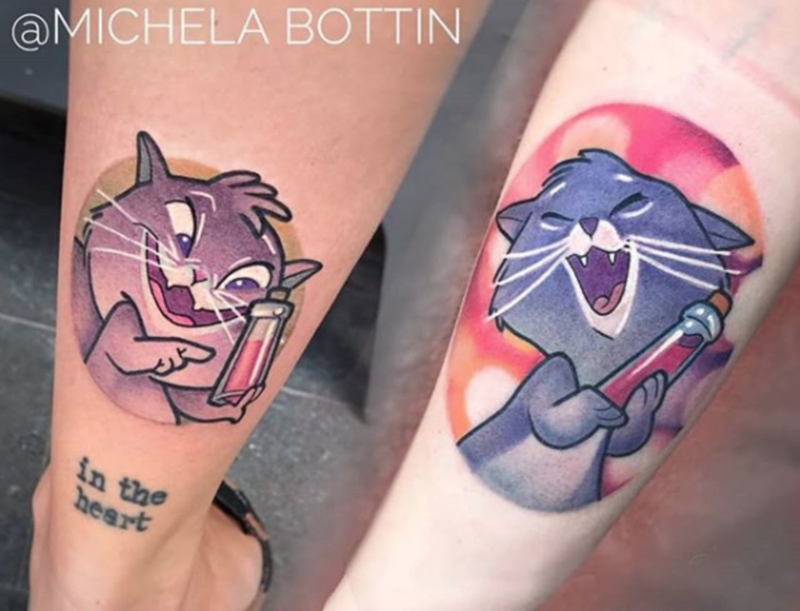 Take a look at just a small handful of the tattoos that Bottin creates and let us know your thoughts on her colorful creations in the comments section on Facebook.